Symplicity CSM (Career Service Manager) addresses the critical issue of unemployment. Through innovative technology, Symplicity CSM integrates employability across your institution. The software is configurable and robust, allowing for flexibility when it comes to workflow, while connecting students to recruiters, and recruiters to the largest network of entry-level talent available. Symplicity CSM provides the tools and capacity to connect all who is involved in the employability development process. By breaking down silos on campus, we generate communication networks between students, advisors, programme managers, alumni relations, faculty, employers and career centers. Symplicity’s adaptable configuration means you can manage your workflow while rolling out your employability practices and development at each phase of the student life cycle. 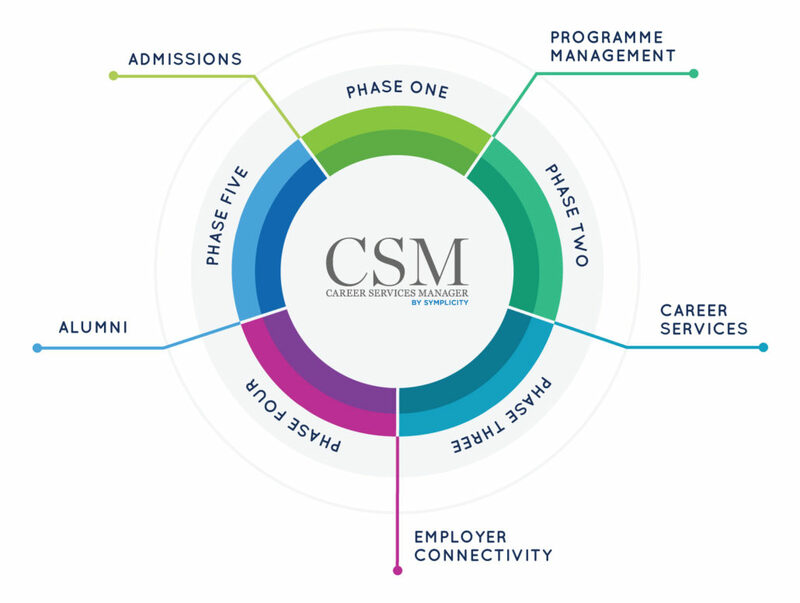 Through sharing important student data with the relevant stakeholders, our CSM helps you manage all the information you need to help shape your employability outcomes.